It’s no big secret that weddings can be expensive. With so much choice from caterers to photographers, it’s easy to go overboard when planning your big day. Unless you have an unlimited cash flow, it’s likely that you’ll need to set up a budget to stop yourself getting into debt and overspending. 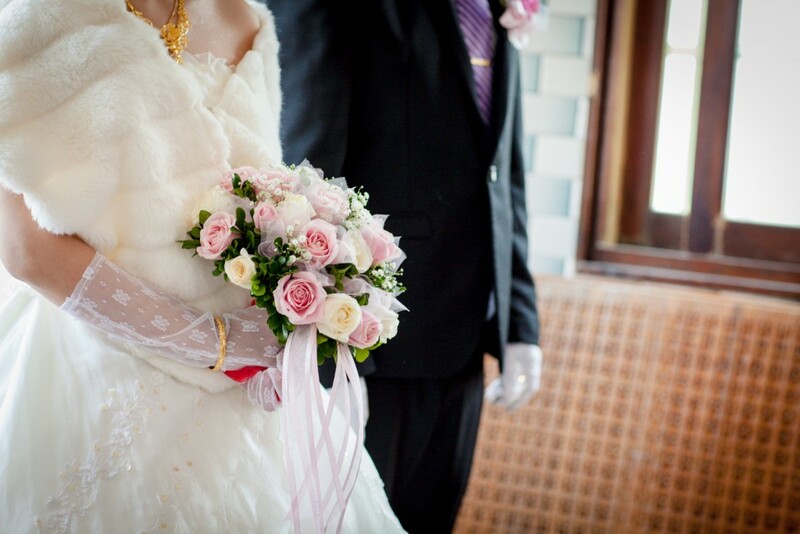 Your budget will give you some stability and help you to start married life in the best way possible. It might limit you in some ways, but it doesn’t mean you can’t have the wedding of your dreams. You can use this guide to learn how to set up a budget and effectively stick to it throughout your wedding planning process. You need to do some thorough research on how much weddings can cost on average, before setting yourself a budget. Otherwise, you may be underestimating just how much you are likely to spend, which can give you a shock later on. Attend some wedding shows and ask for quotes on flowers, dresses, catering and photography to give you an idea of prices. You could also directly contact local suppliers and venues to enquire about packages that might offer. For instance, venues may include entertainment and catering with the room hire. Getting an approximate price for the main elements of your big day will help you create a realistic budget that is easy to work with. Now you know how much weddings can cost, you and your partner need to discuss your budget. It’s essential that you are both on the same page when it come to your finances and how much you want to spend. It might take some time to negotiate, particularly if one of you wants quite a lavish day. It’s best to compromise and find a maximum number that you are both happy with. Remember to include some extra money within your budget just incase you need to change something or a price increases. Now you have this number, write it down and place it somewhere visible such as on the fridge or on a notice board. Seeing it every day will keep you focused and help you stay within budget. Whenever you spend money on something wedding related you should deduct the price from your budget, so it is continually updated. This will inform you of just how much you have left to work with. Also remember to talk about the size of the wedding you want. If you’re sticking to a tight budget, it’s unlikely you’ll be able to cater for hundreds of guest. Prioritise who you want to invite and the space you will need inside the venue. Also consider how much it will cost to feed and entertain your guests throughout the day. This should help you make the best choice when it comes to invitations, venues and catering. The last thing you want is to spend money on a huge venue and masses of food when you don’t need to. The best way of sticking to a budget is to cut costs where you can. Think outside the box and look for money saving potential in every aspect of your wedding. You could ring up a possible venue and see if they could offer you a discount of some kind. It might seem cheeky but if you don’t ask you could be missing out on an incredible deal. There are plenty of other ways you could also save money. If your dream wedding dress is beyond your budget, ask a dressmaker to create something similar for a lower price. You could create your own elegant wedding invitations instead of hiring a designer to design and make them for you. For your wedding cake, you could ask your friends and family to help by baking and decorating it at home. Instead of using a florist why not make your own paper flowers from charity shop books. Ringing suppliers or taking the time to visit people face to face will make them more inclined to help you out. The possibilities are endless, and you could get a lot more for your money than you think you can. Getting married does not mean you have to get into debt. These tips should help you set a budget you can easily stay within, you may even have some left over for your honeymoon. Try to refrain from impulse buying or being pressured into spending more than you can afford. Take the time to plan how you spend each penny, to ensure you have a beautiful wedding that you can comfortably afford.